Performers include: Bobby Moynihan, Hannibal Buress, Kathryn Hahn, Paul Iacono, Method Man, Danny McBride, Michael Peña, Nick Swardson, and Gary Anthony Williams. 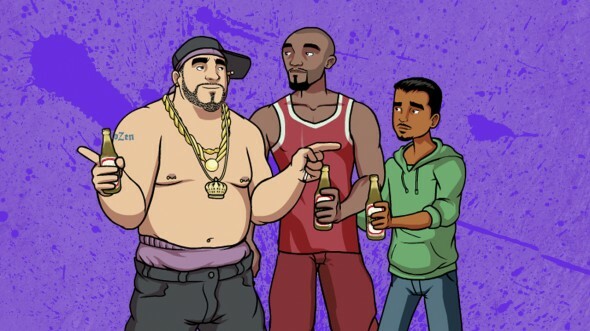 This animated comedy series revolves around Chozen (Bobby Moynihan), a gay white rapper who’s fresh out of prison. Armed with a new message, he’s on a quest for redemption — and to claim his rightful position as the world’s top rap artist. His music and lyrics take aim at the stereotypes of machismo and misogyny that is synonymous with rap music. And his new world view has been shaped by his time in prison. At the summer’s biggest music festival, Chozen confronts his past and goes head-to-head with Phantasm. What do you think? Do you like the Chozen TV series? Do you think it should be cancelled or renewed for another season? More about: Chozen, Chozen: canceled or renewed?, FX TV shows: canceled or renewed? I really enjoyed this show and it made me laugh and forget about the dark dreariness in my life. It shed some light on things that are impossible or unique such as a , gay, rapper convict! So great! F that stupid network and hope that cartoon network picks it up!! R. Wade & Ginger K. Johnson Jr. I loved this show. It was fresh and new. not like all this re-hashed BS on TV now. Maybe ADULT SWIM on CN will see the genius and pick it up. Good riddance… f this show. Talk about idiocracy coming true. F***ING REALLY!! Damn I loved this show. I thought it was a really funny series I’m disappointed in the network for not seeing the potential that it had!!! Thought it was fun. Am DYING to be able to have a soundtrack available. Can’t believe it would be cancelled considering all the other stuff that is on TV nowadays. C’mon people, really? Let’s put it back on so we don’t have to replace it with a 1/2 hour of crap. Always say, if it’s not broken, don’t fix it. Yeah? Think of all the work you execs will have to do to find a replacement show. Fun. I really enjoyed the entire season and I am anxious for season two! This is ridiculous the show is funny!! !